Dogs, it is said, are man’s best friend. Exceedingly loyal, our four-legged canine buddies want to follow us when we walk, doze when we nap, and sometimes plop themselves at our feet when we are busy writing blogs. But, heaven forbid, if we were to slide over to them a bowl of dog food that they found to be appalling, they become quite single-minded. They protest. They turn away. And all that loyalty? Pfft. Out the window. That is, until we reload their bowl with the kind of chow that sets their tails wagging. That other gruel? Banished to the “circular filing can.” If Rover could Yelp (not the barking one, but the website), he would express himself accordingly. Simply stated – but exceedingly devastating for the food manufacturer on the losing end of this equation. 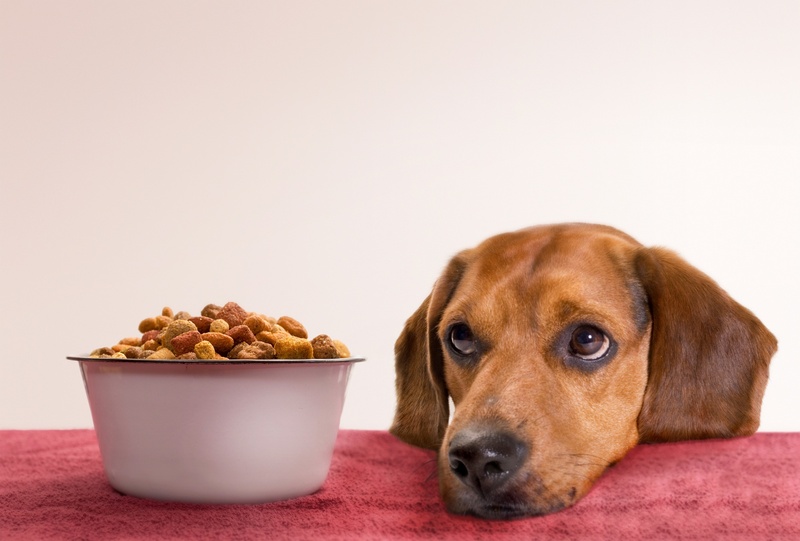 It reminded me – and should remind us – of the importance of ensuring that the “dog food” – and, now, for those of you reading, I’ll ask you to envision your product or service in its place – be the preferred solution to the customer. To achieve this requires a leap of faith – and an acknowledgement that we may have to flip some conventions on their head in order to achieve successful outcomes, to follow the money flow, to achieve positive ROI – and to create a marketplace filled with happy, tail-wagging pooches! 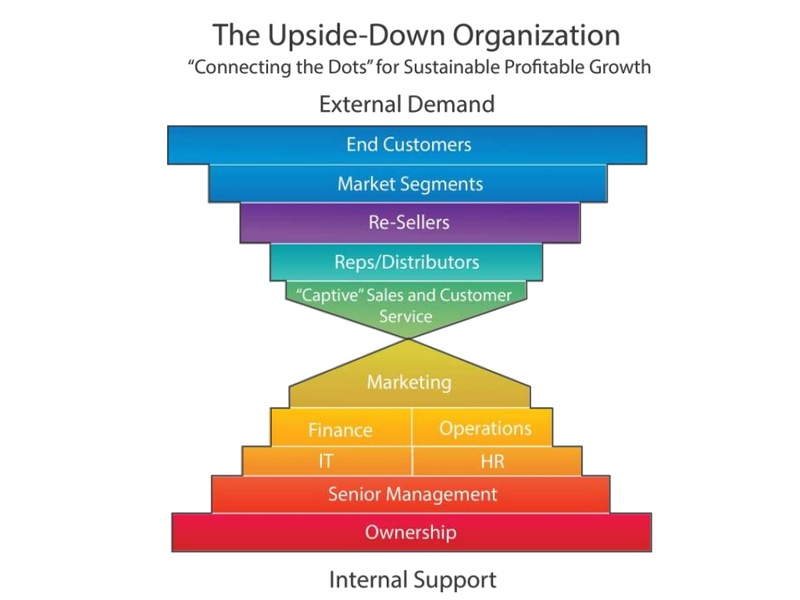 This approach of gaining sustainable, profitable growth is one I call the “Upside-Down Organization.” It employs a six-step process that ensures connectivity between external demand and internal support, using the marketing function as a nexus point between these two worlds. By following this six-step process, we can ensure an “ownership mindset” throughout your organization that will help connect the dots between customer, competitor, and company insights, in a cross-functional way. Identification: Using customer, competitor and company insights, determine where market opportunities exist to expand product and service offerings. Development: Confirm the ability to manufacture; to meet time, cost, and quality targets; and to satisfy the exacting demands of the customer for whom the offering is intended. Creation: Position the new offerings, and determine the best means of communicating the value proposition to all levels of the “money flow,” thereby creating incredible demand. Fulfillment: Provide the sales organization, in whatever form, with all of the tools they need to not only sell the offering in, but also sell it through. Success: Support all offerings with world-class customer service, leverage the success the customer has enjoyed to provide us with future offerings to achieve and maintain a dominant position in the marketplace, and drive sustainable, profitable growth. 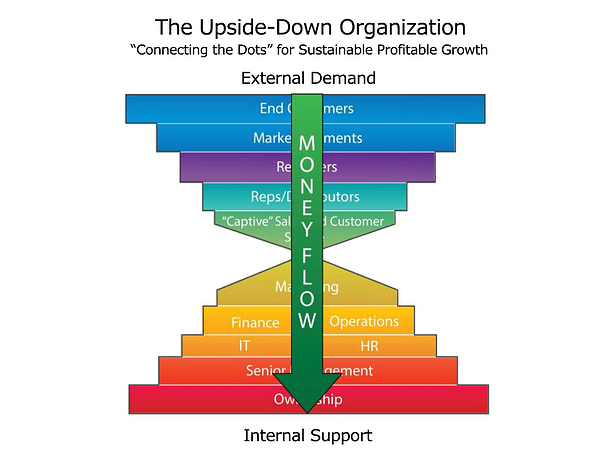 Ready to undertake the journey of creating an “Upside-Down Organization” within your enterprise? Well, you’re barking up the right tree. Stay tuned for Part Two of our series, where we’ll explore the “Identification” and “Justification” steps in more detail.